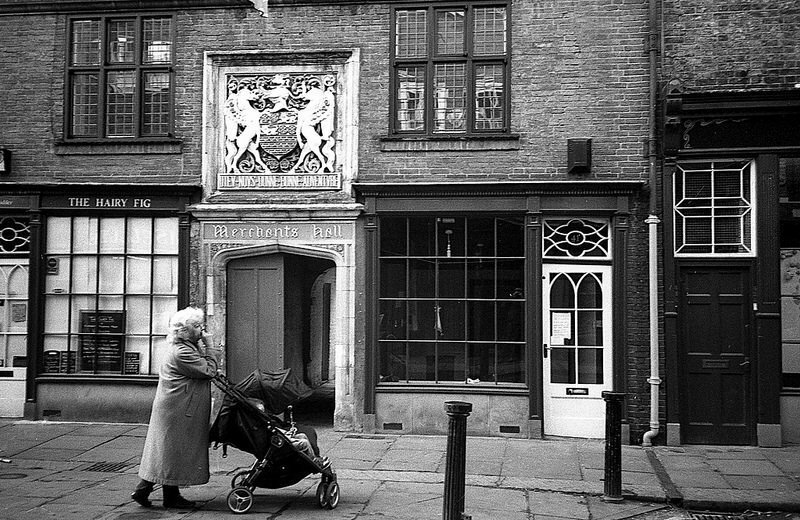 Another scanned negative photograph from my recent day trip to York. 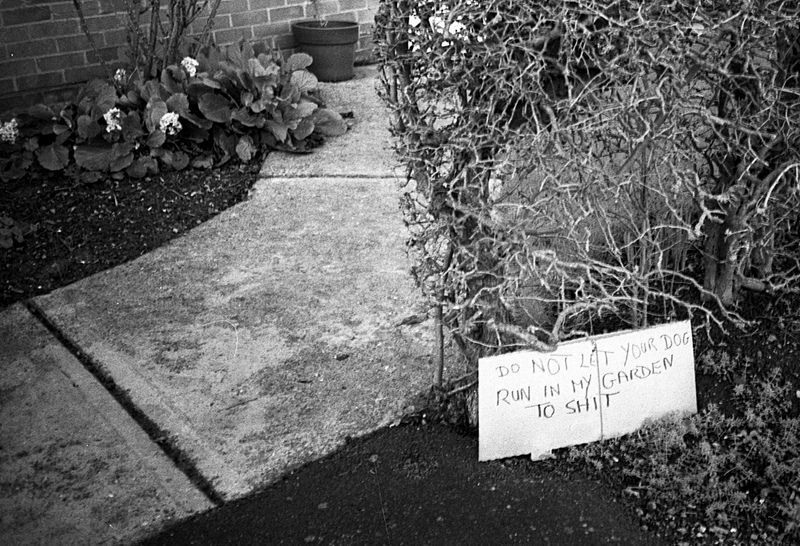 Again, taken on Rollei Retro 400S 35mm film, loaded into the 50p camera (Olympus XA2), then developed in LC29. The 400S as I keep saying, is so difficult to work with, but it produces results that I like - at least when I get the light right. It often makes old brickwork and building features look very aesthetic, in a way that I enjoy looking at. I guess that is what it is about. Creating images that I like to look at. Not IQ or HD. The Flickr Explore algorithm and it's fans appear to like this photograph today. 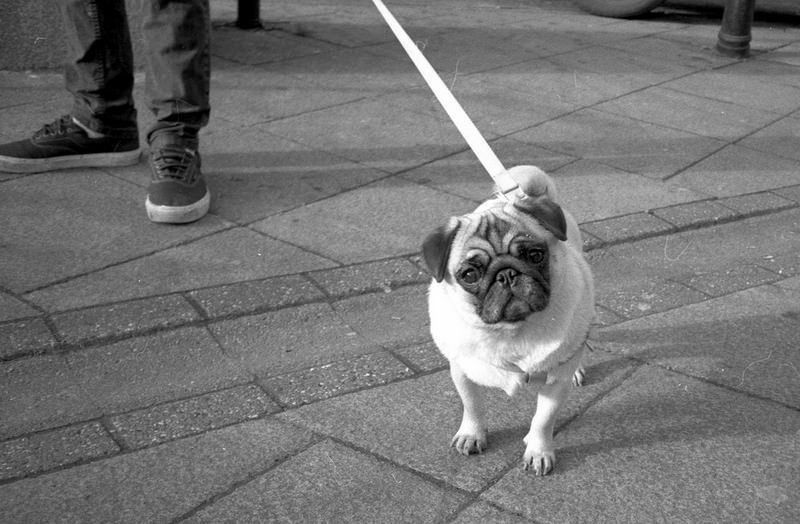 A pug in the town. Pugs are apparently very in at the moment. I captured this last week on Kodak Tmax 400 film, loaded into my Yashica T2. I developed it in Kodak Tmax developer. I'm not too sure that I like that developer, perhaps I should increase developing time, I like a little more contrast on my negatives. I haven't actually discussed my photography much in this new blog have I? I feel as though I did that enough on my previous blog, The Tight Fisted Photographer. However of course I haven't any intention of walking away from b/w film photography. Just for the sake of any future voyeurs who stumble onto this journal. I'm living in 2016, the Age of Digital, the Binary Age. I don't have any problems with that, obviously I am embracing it in the form of this web-blog and in sharing my images on Flickr. I have a smartphone, and I even use a Go Pro from time to time. I was actually a pretty early fan of fully digital photography. I'd even say that although I spent the first forty years of my life, living during the great Age of Film, that it was with fully digital cameras, that I became more enthusiastic about photography, and for example, learned to experiment much more with exposure methods, composition, and the technology itself. Yet, unless I need a quick, easy, colourful and technical image, I rarely bother with digital cameras anymore. Why? They no longer scratch my itch so to speak. I enjoy the technology, and the process, of hybrid film photography. Not only that, but I've come to appreciate, even to love, the results, the photographs, the argent tones of b/w film photography - even those that have been digitally scanned from negatives or prints. I want to record the rest of my life, and my world experience, onto the silver salts of b/w negative film. It goes against the grain (there's a pun there), but I don't like where photography is going. I don't like the mainstream of what goes up on Flickr or in photography club exhibitions. So much gloss, shiny, sharp, magazine inspired, technically perfect, but boring dross (in my eyes). So much emphasis on post process software. HDR makes my eyes bleed. Thankfully, not all photography enthusiasts have been seduced by the gear markets. You can still find some great images there, many of them shot on film. No. as long as I can buy b/w film, I'll stick to the salts of silver. It is a matter of personal taste. The above photograph I took on Ilford FP4+ film, exposed in my Bronica SQ-A with the PS 150mm f/4 lens attached. This guy appears to be embracing digital photography, but it looks as though He is trying to use the LCD as an optical viewfinder. He was concentrating so hard, he never even noticed me creep up to him and steal this candid. I love this photo. I normally run following at least one day rest (at least from running), but this afternoon, the dogs were asking, no-one else wanted to walk them, so I thought, "why not, maybe a short run?". I at least took the dogs on a different route, down to Friday Bridge, up the Stitch and around Bar Drove - but it turned out to be a similar length to my recent runs - 4.4 miles in 46 minutes. That was Running with Dogs No.14. What really inspired this post though, was what I was just reading in that Richard Askwith book Running Free (2014). He cites a number of surveys and studies from across both Europe and the USA, that seem to praise running outside in green areas, as opposed to treadmill work inside gyms. The studies appear to correlate that exercising outdoors, particularly in green areas, appears to offer tremendous benefits to our mental state, our health, our sense of wellness, even perhaps our fitness, compared to working out indoors only. I have not read any of these studies, but I'm not at all surprised. It is something that I have considered at length many years ago - the benefits of being close to other species of animals and plants - being out in Nature. Biophillia. We are drawn to it, and appear to benefit from it. The above photograph is of myself. 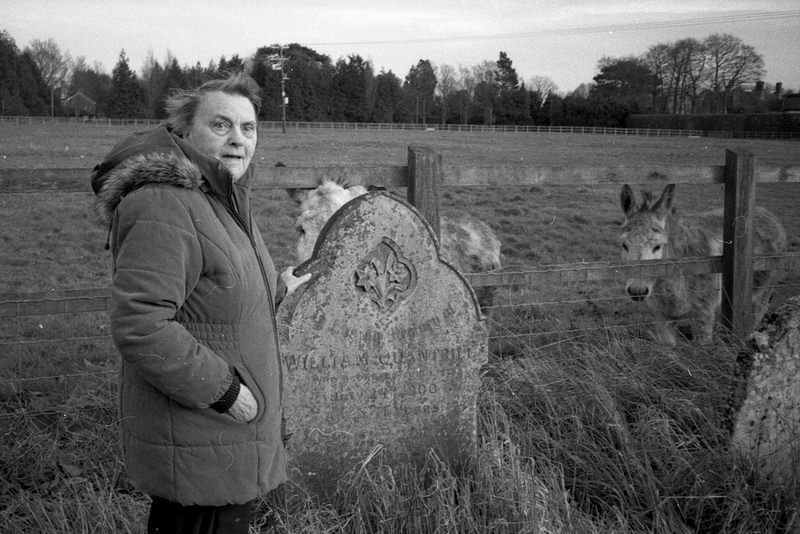 Taken last week in the pocket cemetery by Anita, using my 50p camera, and that strange Rollei retro 400S film. 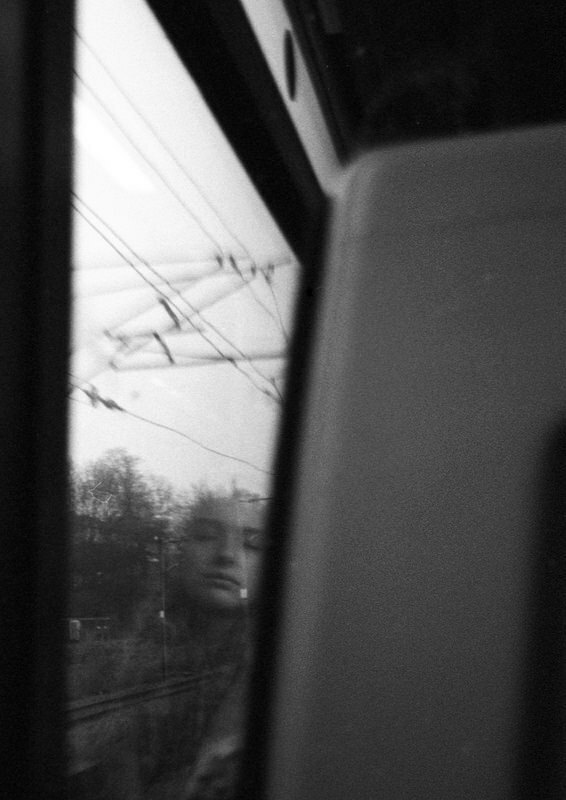 Candid reflection on a train. 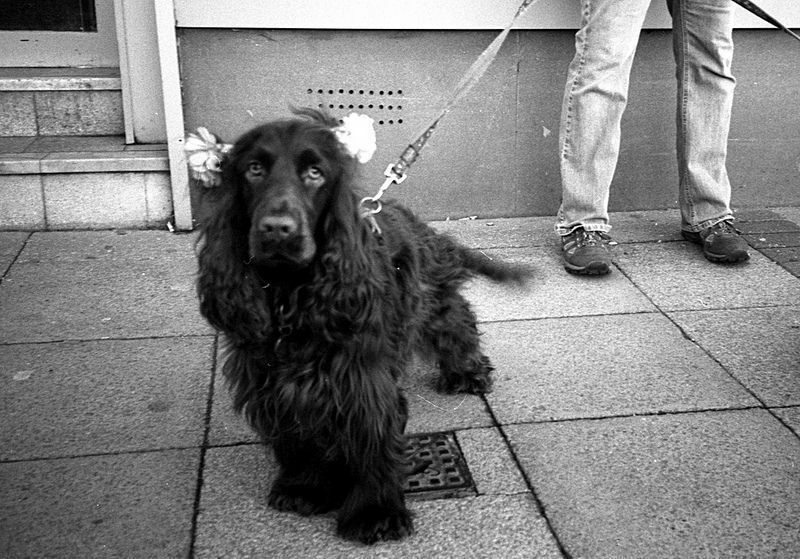 I captured this photo this week, using my 50p camera (Olympus XA2), loaded with Rollei Retro 400S film. That film can be very temperamental, often producing dark, underexposed, or overly contrast negatives. I must remember to stop the camera up, and add a minute to developing time. 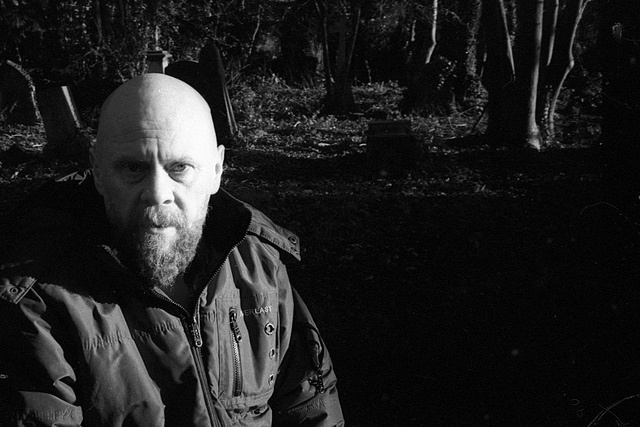 However, regardless of it's faults, this film can sometimes produce really interesting high contrast images. 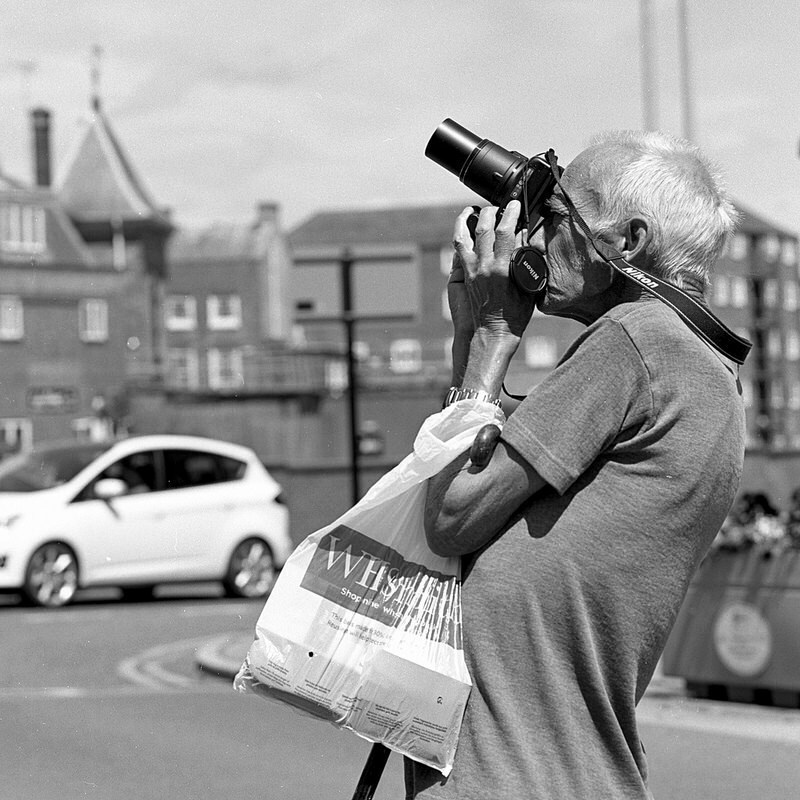 I developed yesterday, it this time in Ilford LC29. That's the technology. The image is something else. I kept seeing her staring into the reflection, not seeing me, but through the window. Candids of pretty girls can be a dodgy affair, particularly in the confines of a railway carriage - but I couldn't help myself. I saw this image, and tried to capture it.